David Evans stands for something bigger than winning games; he stands for commitment, accountability, and pushing the bounds of human achievement. His secret is to build a coaching staff and a program that instills values like commitment, character, love, respect, and discipline. 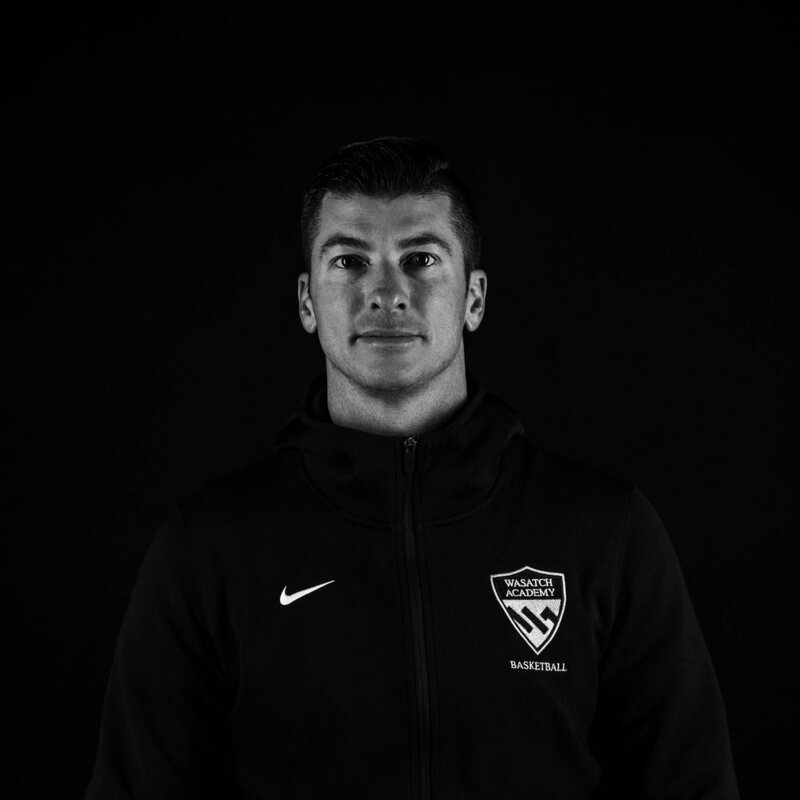 Evans has brought to Wasatch Academy some of the sports' best and brightest who understand what it takes to compete and win at the highest level; and who are outstanding role models for our current and future players. Evans has a successful basketball career as both a player and coach. In addition to his collegiate and professional playing experience, Evans has over 18 years of basketball coaching experience. Evans is most known for his playing and coaching career at BYU-Hawaii. As an Assistant Coach, Evans helped the Seasiders become a Division II power in 2000-01 and 2011-14. BYU-Hawaii played for the national championship in 2011 behind All-Americans Jet Chang and Marques Whippy. The Seasiders had a winning record every year with Evans on the staff. As a player, Evans is BYU-Hawaii’s all-time leading scorer with 2,053 points and is the school’s only 2,000-point scorer. He led the nation in scoring across all divisions as a senior, with 27.9 points per game in the 1999-2000 season. He holds the school record for field goals made, with 748, and has the single-game record with 48 points. Evans was a three-time All-American and is the only BYU-Hawaii graduate to receive the NCAA post-graduate scholarship. Evans returned to the United States after his second round of international professional play, competing during the 2014-15 season for the Plymouth Raiders in England. He also spent time in Norway and has worked as a player developer for several international and NBA players. Evans’ coaching career continued in the Spring of 2015 when he became Head Coach at the national powerhouse Lone Peak High School (Highland, UT). Lone Peak quickly became renown as one of the most consistent teams on the court earning them the highest regard in high school basketball. Evan's first season featured wins over several of the nation's top programs including Wasatch Academy, Miller Grove, Mount Saint Joseph, and a nationally televised win at home over St. Joseph on ESPNU. In his three seasons at Lone Peak, Evans amassed a 67-14 overall record, three region championships, one 6A UHSAA State Title, and a berth in the GEICO National High School Invitational (NHSI). In addition, he successfully managed 50 coaches and 500 youth playing in the program’s year-round D-League organization and hosted annual summer camps/clinics for more than 700 youth in the community. Evans coached Frank Jackson (currently playing for the New Orleans Pelicans) during his senior year at Lone Peak and assisted him with earning McDonald’s All-American status. Jackson went on to win the dunk contest and was featured among the nation’s best collegiate players while at Duke. Jackson was named “Mr. Basketball” by the Deseret News after a senior campaign featuring 28 points per game. His successes are not only on the court: Evans built and ran a successful construction company, Evans Construction, in Hawaii. He was named one of Pacific Business News’s 2009 Forty Under 40 and was named Best Contractor of the Year from Home Depot two times in a row. Evans graduated from BYU-Hawaii in 2000 with a degree in Exercise Science and earned a Master’s Degree in Coaching. He served a mission for The Church of Jesus Christ of Latter-day Saints in Alaska. He and his wife Amy have five children. Now in his first season as Wasatch Academy Basketball head coach, Evans has brought his ethos of commitment, accountability, and is ready to push the bounds of human achievement with a new staff that rivals many Division 1 NCAA teams. 2019 is going to be an amazing, historic season at Wasatch Academy Basketball. As one of the top contenders for the 2019 National Championship Title, under the direction of Coach David Evans, Wasatch Academy currently has the highest quality of players, coaching & development staff, and strength of schedule than ever before in our 107-year team history.